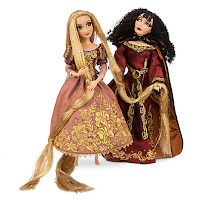 The first two sets seem to be the ones everyone is taking about, as they include characters that haven't been seen as dolls. 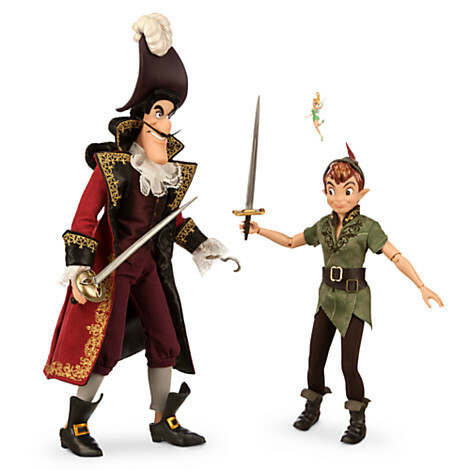 Peter Pan and Captain Hook have both not been released as dolls in a very long time, and certainly not part of a Designer series before. 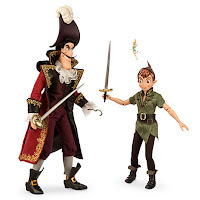 This will be the first male Disney doll set, but there is a small figure of Tinker Bell flying around included as an accessory, as well as swords and Hook's hat. The next set is Snow White and The Witch. This is the third Designer doll for Snow White, while it is a big surprise to get The Evil Queen in her old hag form. 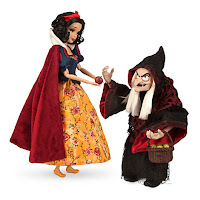 Snow White holds a big red apple while The Witch carries a basket of green apples. The next two sets seem to have mixed reactions. 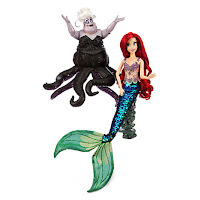 Ariel and Ursula have both had Designer and Heirloom dolls, in fact, this set features an Ursula doll that looks very much like her 17 inch doll. Ariel has a fully sequined tail and has a new type of top which is embroidered onto a clear fabric to mimic the shell design. She also comes with a rock accessory to sit on. 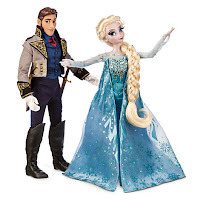 Elsa and Hans were rumored early on and a leaked photo showed what is supposed to be a D23 Exclusive with Elsa in her coronation dress instead of her snow queen dress with royal accessories. Hans comes with his sword. Available for Pre-Order at the D23 Expo 2015. The Disney Fairytale Designer Collection was carefully crafted by artists inspired by Disney's true heritage of the fairytale beginning with their 1937 classic Snow White and the Seven Dwarfs. 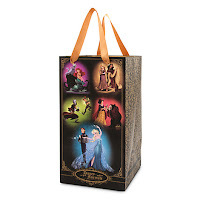 Celebrating the relationship between good and evil, this set features your favorite Disney heroes and heroines, and the memorable villains they faced. 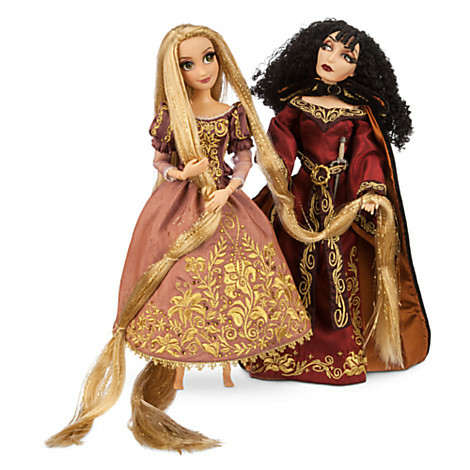 Exquisitely detailed, these limited edition dolls have been brought to life with thoughtful attention, and uniquely capture the essence of the fairytale foes, creating a one-of-a-kind set that will be a treasured keepsake of collectors and Disney fans! Intended for adult collectors -- Not a child's toy.